Product categories of Air Duct And Air Conditioning Aluminum Profile, we are specialized manufacturers from China, Air Duct And Air Conditioning Aluminum Profile, Air Duct Aluminum Profile suppliers/factory, wholesale high-quality products of Air Conditioning Aluminum Profile R & D and manufacturing, we have the perfect after-sales service and technical support. Look forward to your cooperation! The application range of central air-conditioning and air duct machine is more and more wide. 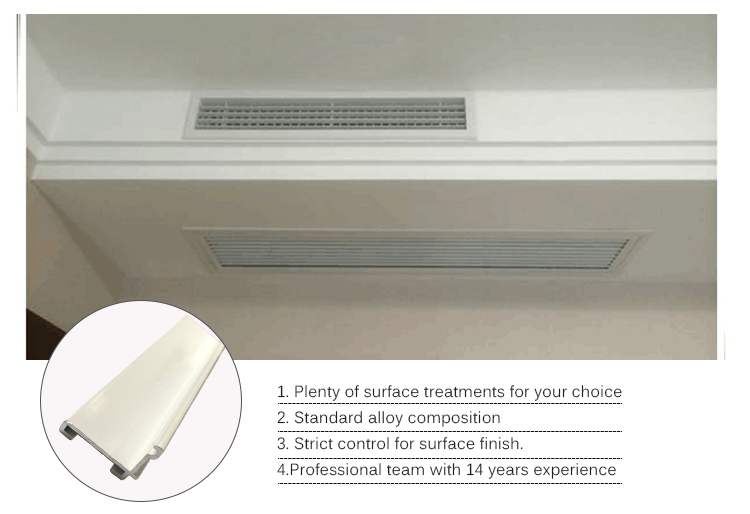 Compared with traditional wall-mounted air conditioners, one of the most prominent advantages is that it can realize concealed installation. Only the air outlet is left in the room to make the interior decoration style beautiful and unification. The air-conditioning air outlet frame and fan blades can be made of aluminum alloy material, which is cost-effective and moderately priced. 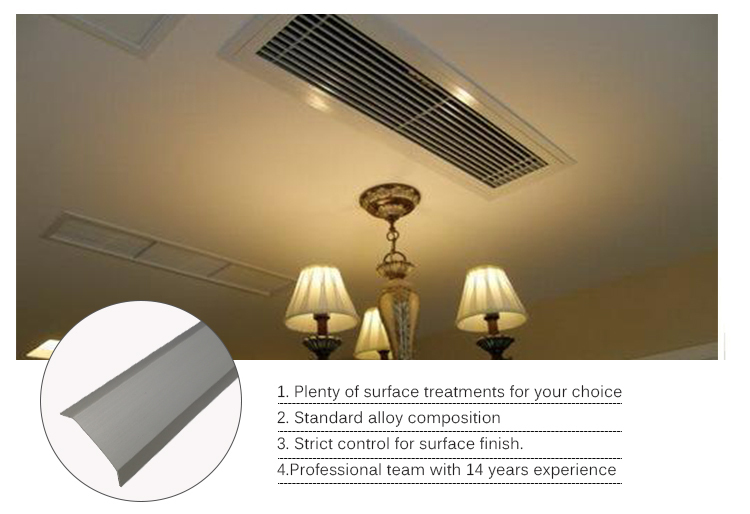 In most central air-conditioning projects, the air outlets are made of aluminum alloy materials.